Calling All Hairstylists, Barbers, Manicurists, & Make-up Artists! Are you a licensed cosmetologist, barber, hairstylist, make-up artist, or manicurist? Are you interested in making a HUGE impact on the quality of life of a hospice patient? 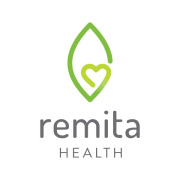 Remita Health is in need of your skills! We all know how a haircut, shave, a little bit of make-up, or a fresh coat of polish can make us feel better - such a small thing can truly make a monumental difference for our patients that reside in a nursing home, are bedbound, or have a difficult time leaving the house. Hours are flexible based on your schedule and Remita Health covers the cost of all onboarding requirements. Come join our team today!